The V3 is our upgraded series. They are built from high quality and ultra durable materials. The main frame board is high quality glass fiber while the arms are constructed from ultra durable polyamide nylon. Their arms are reinforced and much more stronger, so this succeeds in preventing and reducing arm breakage. 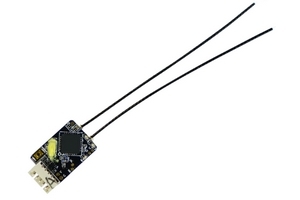 This version 3 of the Q450 features integrated PCB connections so direct soldering the ESCs is practicable. This eliminates the need for a power distribution board or messy multi-connectors keeping you electronics layout very neat and tidy. 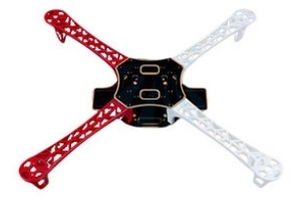 The Q450 also features colored arms (2 white and 2 red) which are great for orientation. It helps to keep you flying the right direction without the need of different colored propellers. A great feature of this frame is the large mounting tabs at the front and rear of the main frame bottom plate for mounting cameras or other accessories. This shows us a great way to take aerial video or fly FPV without the use of any additional mounting brackets. 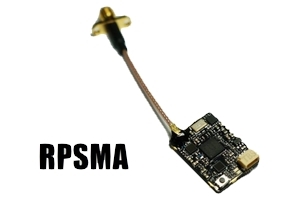 Integrated PCB connections for direct soldering your ESCs. Emax MT2213 935KV Brushless Motor. ZTW Spider Series 30A OPTO Brushless Speed Control ESC. MMC 10x4.5 Carbon Fiber propeller. DUPU 1500mAh 11.1V 3S 25C battery. 3S High Rate Li-po Battery 11.1V 2200mAh 20C. ACE High Quality 2200mAh 20C 3S 11.1V Lipo Battery.